On Thursday, 15 November 2017, SIMNA Ltd. held its third Annual General Meeting (AGM). Members dialled in from capital cities and regional locations across Australia. SIMNA has received a grant from Equity Trustees. The term of the grant is $50k per year for two years (to June 2020). This confirms Lisa McGhee in post as SIMNA’s first employee. The 2017-18 Profit and Loss sheet shows a $15k gross profit through membership, but a net loss of $18k for the year. The Equity Trustee funding has helped to re-balance the books. SIMNA is in a good position now, looking forward. SIMNA’s member base comprised of 128 individuals, 14 small organisations and 18 large organisations at 30 June 2018. We need to engage more directly with organisational members, to ensure we are meeting their needs. SIMNA’s Organising Committees held 18 knowledge sharing events across the period. An average of 40 people attended each event. A wide range of workshops were facilitated. SIMNA’s 2017-18 Annual Review is available to download here SIMNA Annual Review 2017-18. View it online here: goo.gl/XdNnTR! Since the AGM, SIMNA has held a member-only vote to appoint three new Directors. 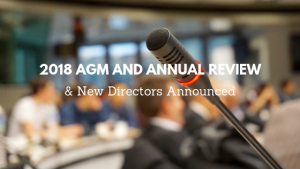 We are thrilled to announce that Sarah Barker, Sarah Collyer-Braham and Ross Wyatt will join the SIMNA Board at our next meeting on 6 December 2018.